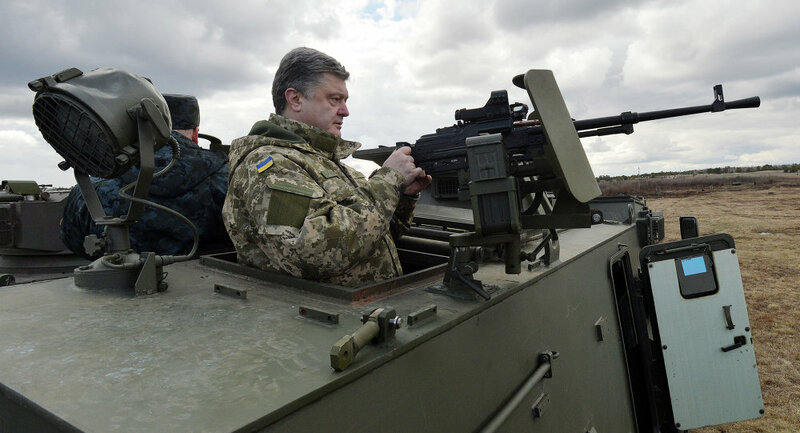 The United States and Poland will help to improve the fighting capability of the Ukrainian armed forces with new armored vehicles and UAVs, Ukrainian media reported on Wednesday. Ukraine’s state-owned arms manufacturer Ukroboronprom has signed a number of contacts with America’s Textron Systems and Poland’s WB Electronics companies for the joint design and production of war drones and modernization of the country’s armored vehicles, the Kiev-based weekly newsmagazine Korrespondent reported on Wednesday. As part of an agreement signed with Textron Systems at the Arms and Security-2015 International Trade Fair in Kiev, the two firms will work together to radically upgrade the Humvee armored fighting vehicles and in thestart production of new tanks and AFV’s for the Ukrainian military. Poland's WB Electronics company has agreed to make available to Ukraine’s Antonov aircraft designers their latest knowhow designs for the production of a new tactical drone for the Ukrainian Air Force. "The new projects are meant to supply the Ukrainian armed forces with modern weapons, including advanced UAV’s and heavy armor,” the Ukroboronprom’s press-service said in a statement. Last week Ukroboronprom shipped a record 35 artillery systems to the armed forces, while the Kiev Tank Factory increased its annual output by a hefty four times, Korrespondent reported.